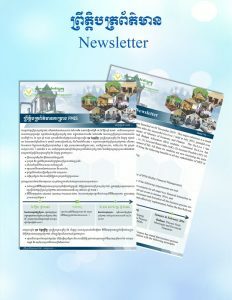 In order to keep you at the same pace with the project team and prepare yourself for any change ahead, Project’s Monthly Newsletter will be issued with all the latest news and activities are being carried. We are looking forward to hearing all comments and feedback to make this Newsletter more efficient and closer to you. And we also expected you will be the active change enablers and keep on distributing this Newsletter to anyone who may concern.